FAIRHAVEN, Mass – Southcoast Health today announced that Sagar S. Patel, MD, nephrologist, has joined Southcoast Physicians Group, and will see patients at Southcoast Center for Primary and Specialty Care, 208 Mill Road, Fairhaven. 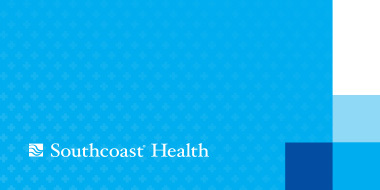 Dr. Patel previously served as a hospitalist at Southcoast Health. His clinical interests are slowing progression of chronic kidney disease, hypertension management and kidney stones. Dr. Patel earned his doctorate from the University of Debrecen Medical Health and Science Center in Debrecen, Hungary. He completed his residencies in preliminary general surgery and in internal medicine at SUNY University of Buffalo in Buffalo, N.Y., followed by his fellowship in nephrology at SUNY Stony Brook University Medical Center in Stony Brook, N.Y., where he was chief nephrology fellow in his final year. Dr. Patel is a member of the American Society of Nephrology, American College of Physicians and American Medical Association. Dr. Patel is board certified in internal medicine and nephrology, and also has ACLS and BLS certification from the American Heart Association. He enjoys outdoors activities such as fishing and camping and he also enjoys playing the guitar. To schedule an appointment, call 508-973-2219.